The biggest draws on the Outer Banks come in a lot of varieties, with history and nature being most prevalent when exploring Nags Head, NC, attractions, Kill Devil Hills attractions and Kitty Hawk attractions. All three areas blend into each other as far as most visitors know, but each holds its own distinct place in the events or natural places that interest visitors and locals alike. The Nags Head, NC, attraction that's best known is one that's very hard to miss – the tallest sand dune on the East Coast – Jockey’s Ridge. 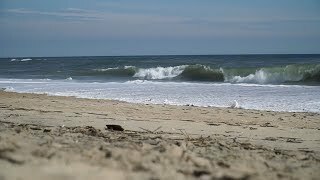 Not only does this sandy Nags Head, NC, attraction grab your attention, but all the favorite activities of Nags Head centered around the dune, such as kite flying, hang gliding, sunset gazing and taking a running tumble down the dune (hey, you’re not an Outer Banker ‘til you’ve done it! ), make it a pretty well known spot. Sharing space with Kill Devil Hills attractions is Nags Head Woods, which crosses town lines in its verdant wonder. This woods system is one of the most diverse maritime forests on the East Coast and is worthy of your respectful walk along its trails. Another popular spot in Kill Devil Hills is the Wright Brothers National Memorial commemorating our first attempts – and success – at powered flight. Farther north of Nags Head and Kill Devil Hills, the two main attractions in Kitty Hawk are Kitty Hawk Woods, a beautiful place to relax amid hardwood trees and shade in the summer, and the Monument to a Century of Flight at the Aycock Brown Welcome Center. And, while Mother Ocean is always an attraction, the sound is also a draw as a Kitty Hawk, Kill Devil Hills and Nags Head, NC, attraction. Each town has public access sound sites, and some are handicapped accessible. Parents of wee tikes should take note that locals know that a day at the sound is a lot more pleasant than an ocean venture when it comes to non-swimmers. Sound waters are shallow and usually very calm. You can check out all the Kitty Hawk, Kill Devil Hills and Nags Head sound sites here. Will You Escape the OBX?